Indicated for temporary and local symptomatic relief of mild itching of the external vaginal area, such as because underwear, soap or deodorant. 1. What is Dermovagisil vaginal cream and what it is used. It is a cream for use in the vaginal area, which contains an active ingredient with local anesthetic action. Dermovagisil vaginal cream is indicated for the temporary and local symptomatic relief of mild itching of the external vaginal area, such as because underwear, soap or deodorant. Dermovagisil vaginal cream is indicated in adults over the age of 12 years old. Do not use Dermovagisil if you are allergic to lidocaine or related to amide-type local anesthetics (used in surgery) or any of the other ingredients of this medicine (listed in section 6). Consult your doctor or pharmacist before you start using vaginal cream Dermovagisil. This product is for external use only vaginally. -Do Not use over large areas. He should Avoid applying to wound, abraded, infected or bleeding skin. This medicine should not be used in children under 12 years old, except for medical indication. There have been no interactions with other medicines. If you are pregnant or breastfeeding, you think you may be pregnant or planning to become pregnant, ask your doctor or pharmacist before using this medicine. The physician should assess the benefits and risks before recommending this medicine during pregnancy or breastfeeding. There have been no effects on the ability to drive and use machines. The recommended dose is: External vaginally. - Adult and girls over 12 years: Apply a thin layer of cream and spread it gently on the external vaginal area affected up to 3-4 times a day. They should wash their hands immediately after application. Should not be used for more than 7 days. In the event of aggravation or persistence of symptoms after 5 days or if it appears redness, pain or swelling, stop treatment and consult your doctor. This medicine is contraindicated in children under 3 years and should not be used in children under 12 years unless medically indicated. If you use more than you should. It is very unlikely Dermovagisil poisoning, given its presentation and management. However, if by bulk or altered by accidental ingestion or skin application irritation, dizziness, upset stomach, anxiety, nervousness, drowsiness or other symptoms occur, treatment should be instituted. 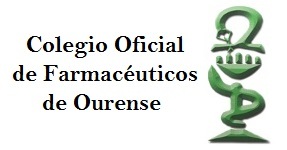 In case of overdose or accidental ingestion, immediately consult your doctor or pharmacist or go to a medical center or call the Toxicology Information Service on +34 91 562 04 20, indicating the medicine and the amount taken. Rarely, in some sensitive individuals irritation, itching, edema (swelling caused by fluid retention) or allergic reaction at the application site may occur. In the case of overuse, see above paragraph Dermovagisil If you use more than you should. - The active ingredient is Lidocaine. Each g of cream contains 20 mg of lidocaine (2%). - The other ingredients (excipients) are: stearic acid, glyceryl monostearate, glycerol, triethanolamine, zinc oxide, sulfonated castor oil, isopropyl alcohol, rose perfume, sodium dioctylsulfosuccinate, diethylene glycol monoethyl ether, chlorothymol, deionized water. Dermovagisil is in the form of vaginal cream (for use by external vaginally). Date of last revision of this leaflet: September 2013.